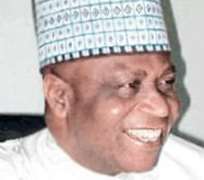 The National Chairman of the New Peoples Democratic Party (nPDP), Alhaji Abubakar Kawu Baraje, today resigned his position as Chairman, Nigeria Railway Corporation Governing Board to give him room and time to manage the nPDP adequately and avoid any insinuation or plot to use the appointment of his NRC Chairmanship to blackmail or embarrass him in future. According to him the struggle to emancipate and enthrone proper democracy in our polity is a task that must be won. The decision was conveyed through a “LETTER OF GRATITUDE AND RESIGNATION OF APPOINTMENT AS CHAIRMAN, NIGERIA RAILWAY CORPORATION GOVERNING BOARD” addressed to the Secretary to the Government of the Federation (SGF), Senator Anyim Pius Anyim. The letter personally signed by Alhaji Baraje said: “I hasten to express my sincere gratitude to His Excellency, Dr. Goodluck Ebele Jonathan, GCFR, President, Federal Republic of Nigeria, through your good office for the confidence he placed in my ability to have appointed me to such an exalted position as Chairman, Nigeria Railway Corporation. “His Excellency, Mr. President, will recall that this appointment came from his discretion in allotting some positions to our great party, the Peoples Democratic Party (PDP). However, it is no longer news that there is an ongoing disagreement in principle between some top stakeholders of our party of which I am among on the one hand and the current leadership of the party on the other. This quagmire has upturned my belief in the present leadership of our great party and has consequently made my continued stay as the Chairman, Nigeria Railway Corporation Governing Board uncomfortable. Sample of the letter is attached for your perusal and action accordingly.